India's flag of nautical woven. 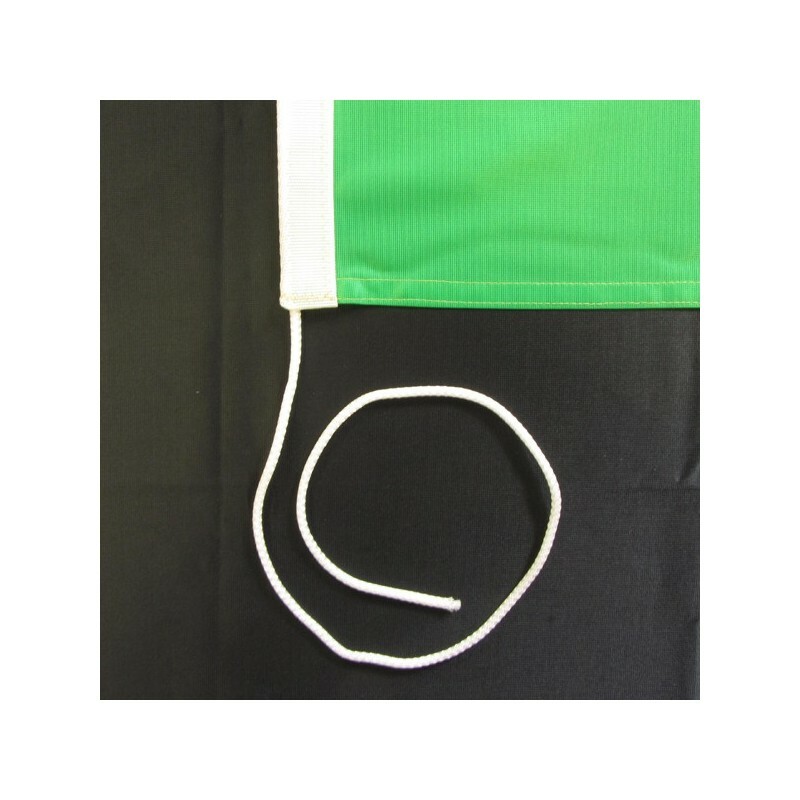 Flag of India of nautical polyester, for external use only, with digital print. 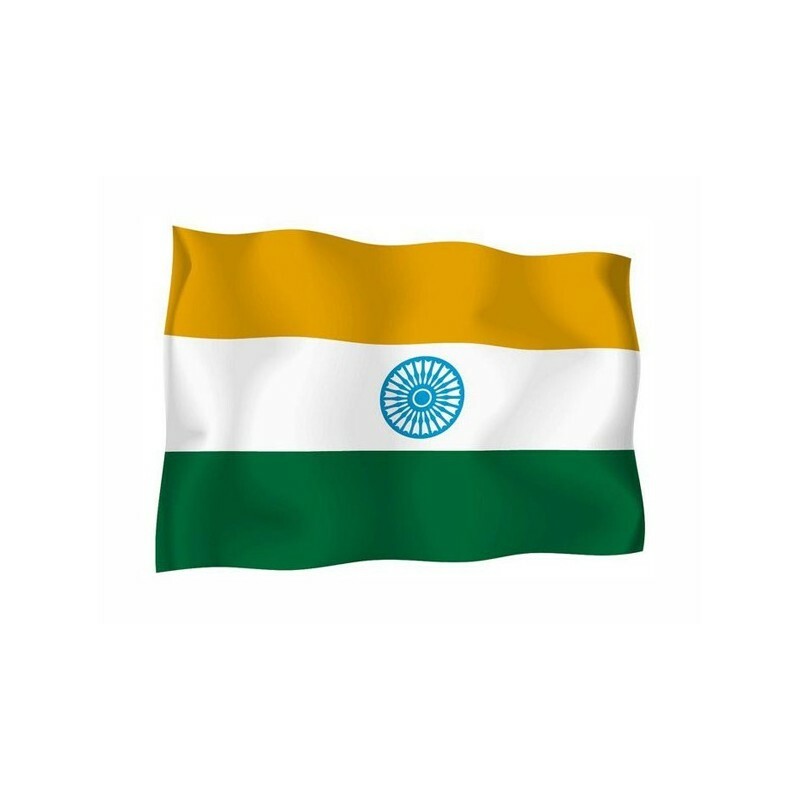 Since the 22 of July 1947 the National flag of India consists of three equal horizontal stripes: orange, white and green. At the core of the white one there is the Chakra (wheel), with 24 spokes. 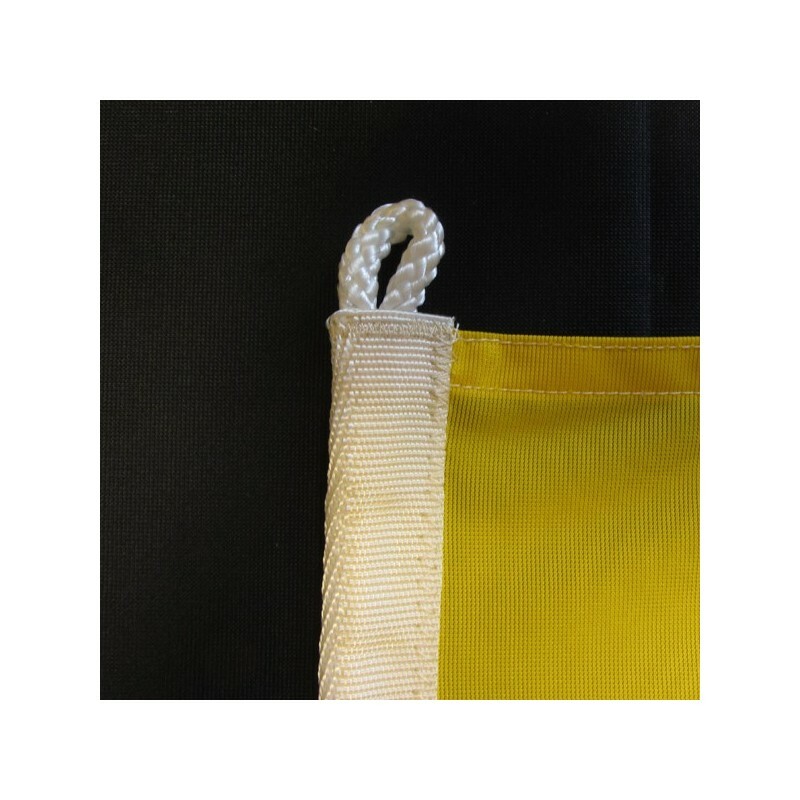 The orange represents the courage and the sacrifice, the white is symbol of peace and virtue and the green means faith and cavalry. After the british nomination since 1763, in 1947 the indian subcontinent divided into India and Pakistan. 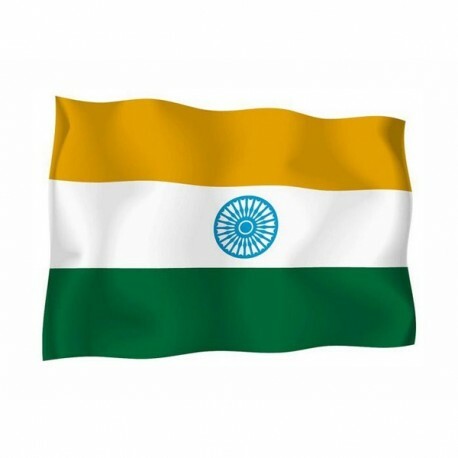 The National flag is based on the banner of the National indian congress of 1885. The central motif is a Chakra. The 24 spokes coincide with the 24 hours and they represent the life and the death.